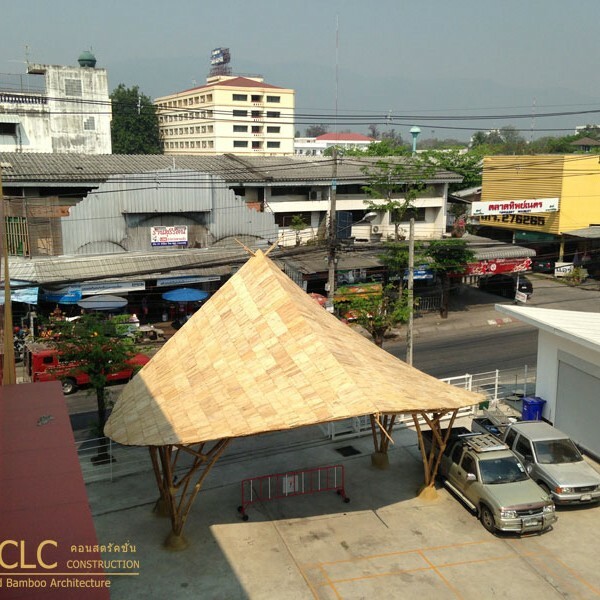 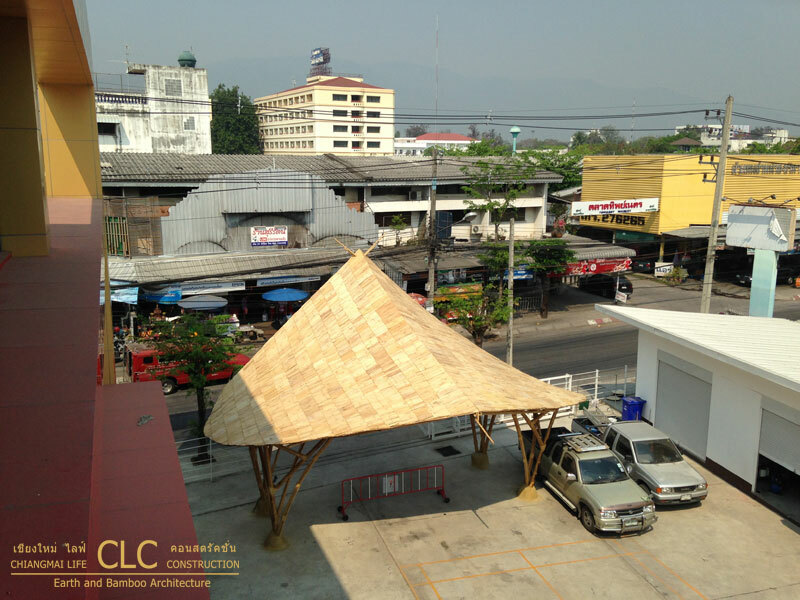 In the center of Chiang Mai, at the beginning of one of its famous walking streets, is the office of the company Torch. 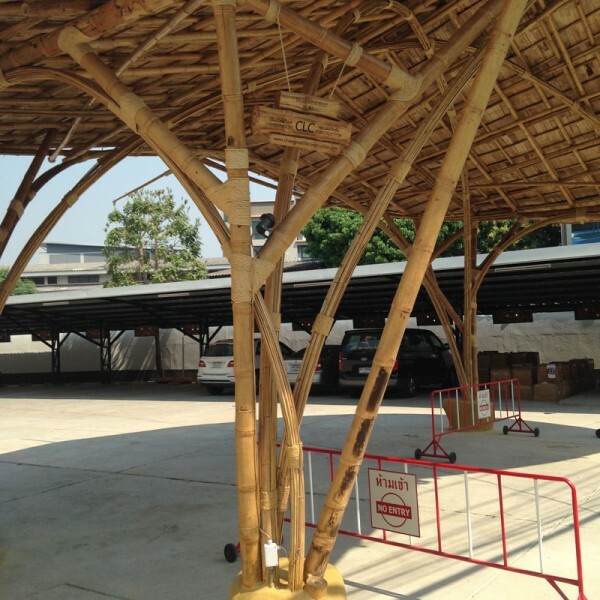 It is a modern office building rigidly and squarely designed with concrete and steel, such that it is rather uninviting and because of all the concrete around also very hot. 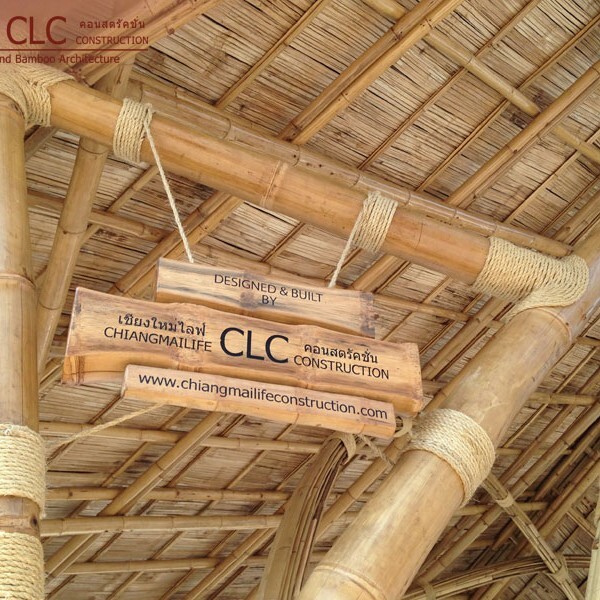 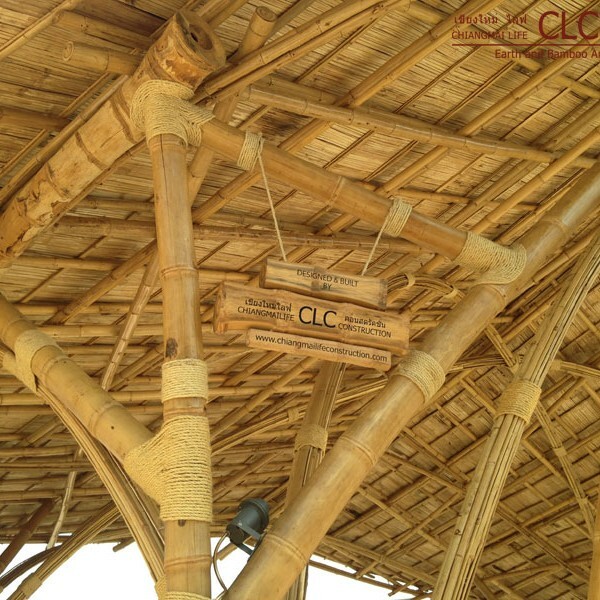 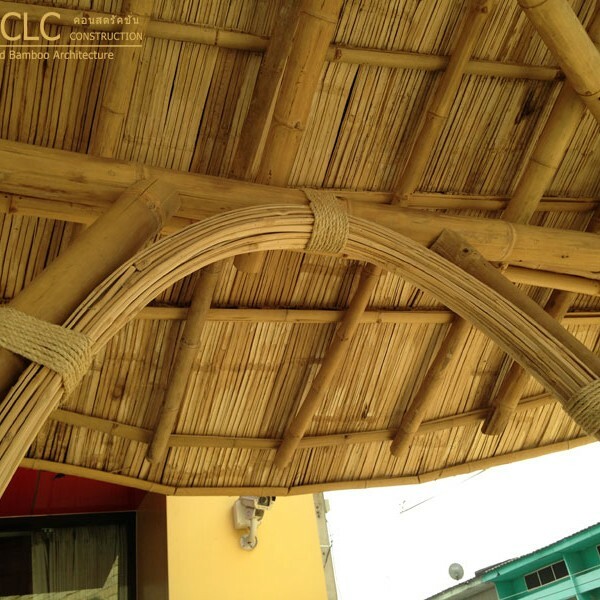 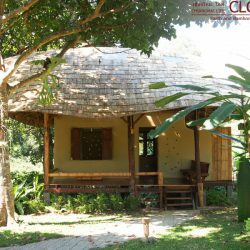 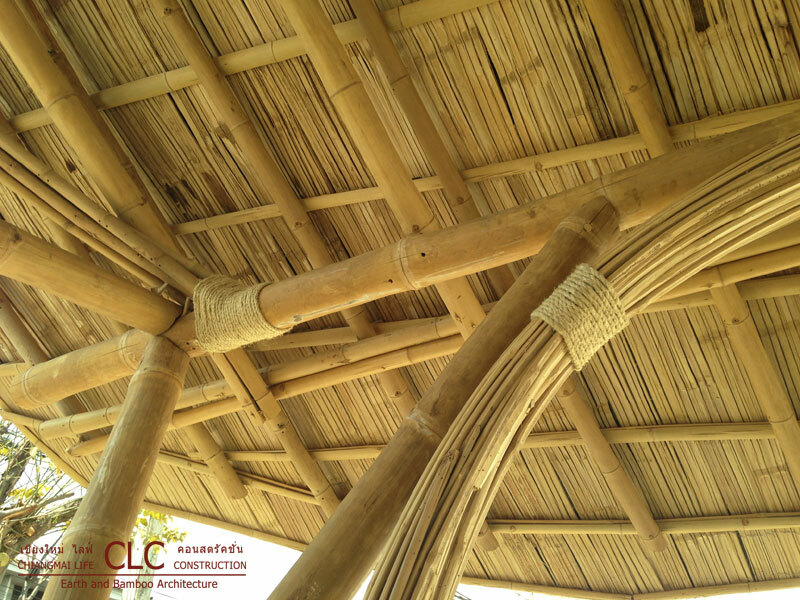 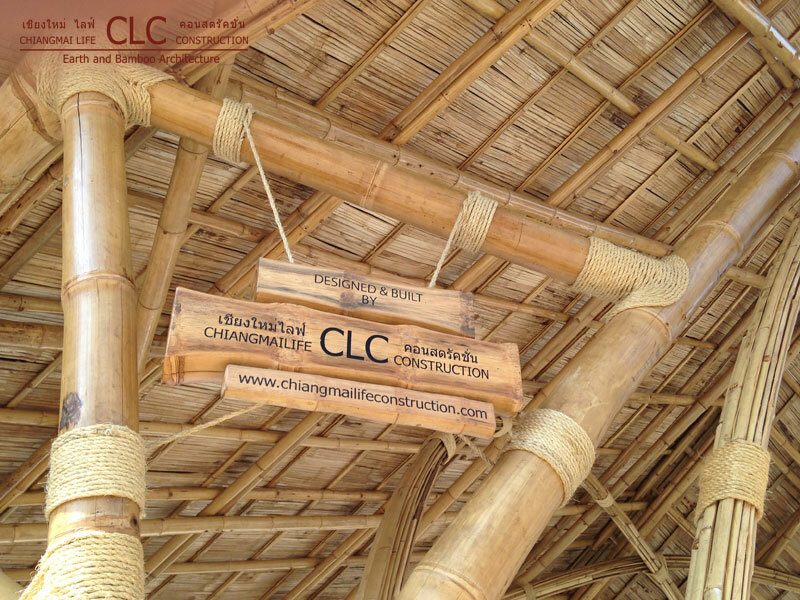 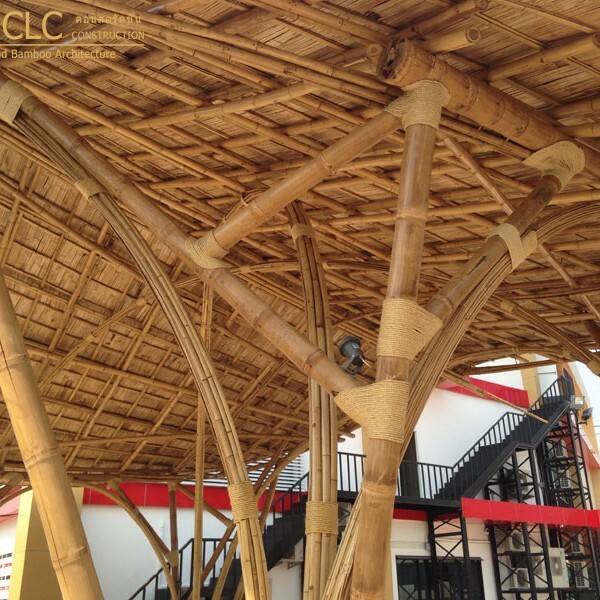 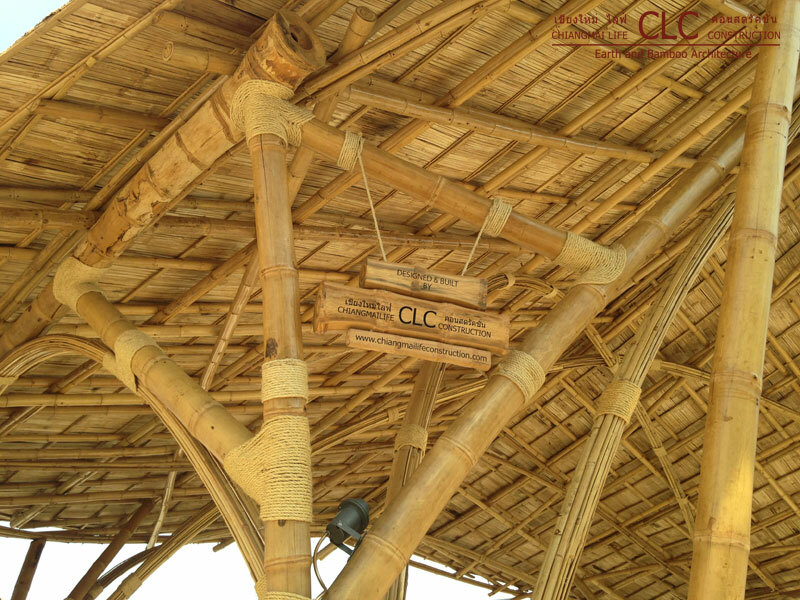 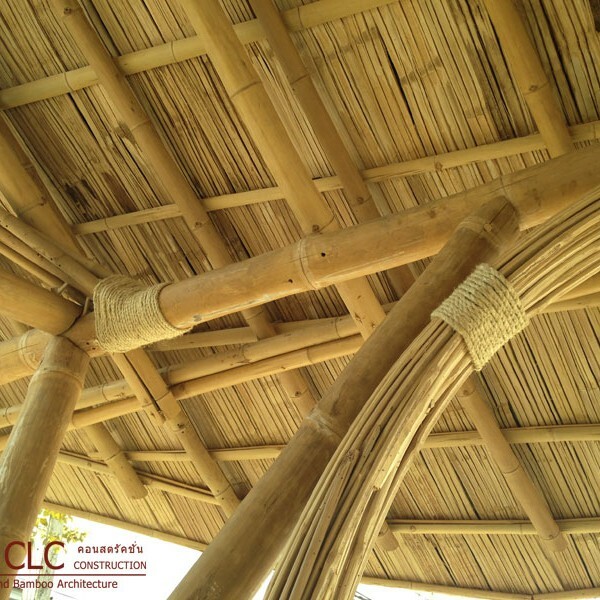 In order to introduce a playful and more inviting feature, the entrances were redesigned by CLC and fitted with bamboo gates that give a very light, organic and cooling feeling. 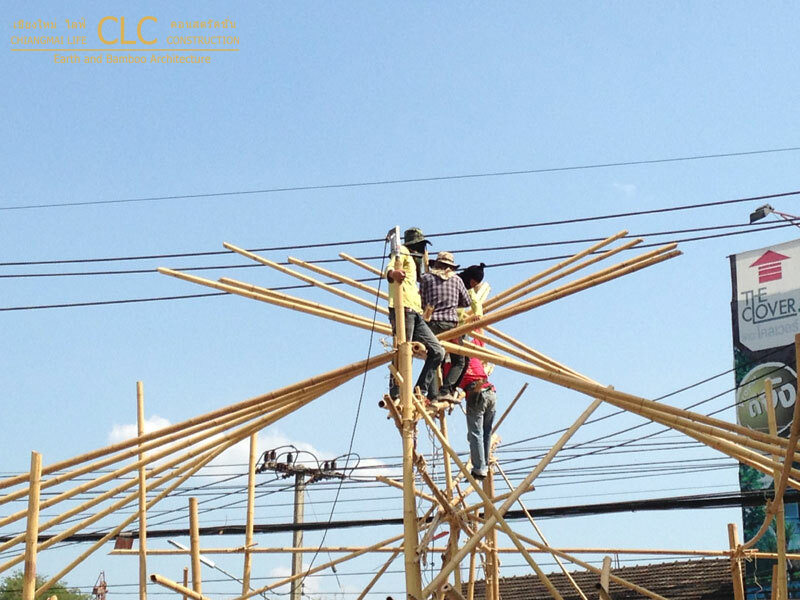 They resemble a fusion of a flying saucer and a bird that seems to hover or just about to take off. 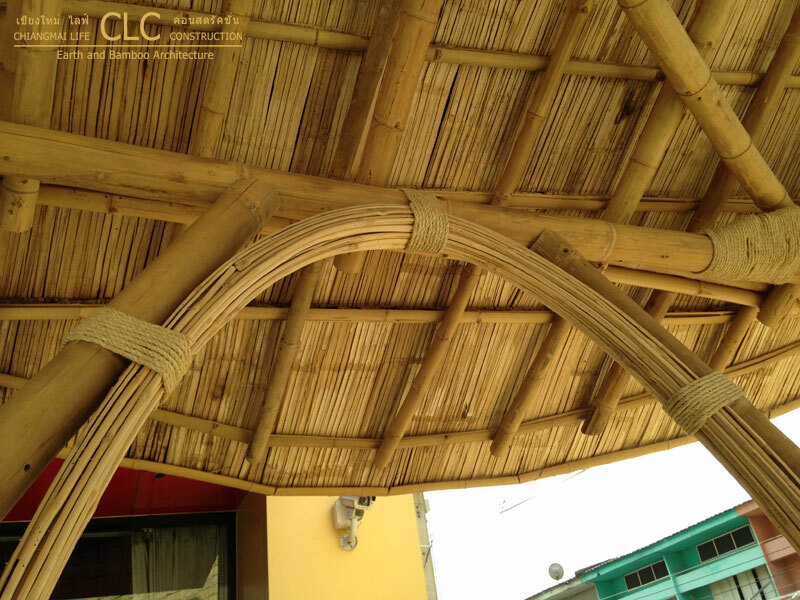 Since the erection of the gates, the owner says interest in his office and company has multiplied many times. 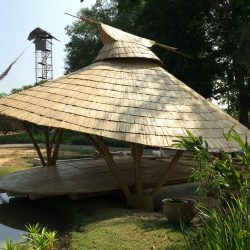 The office has two entries. 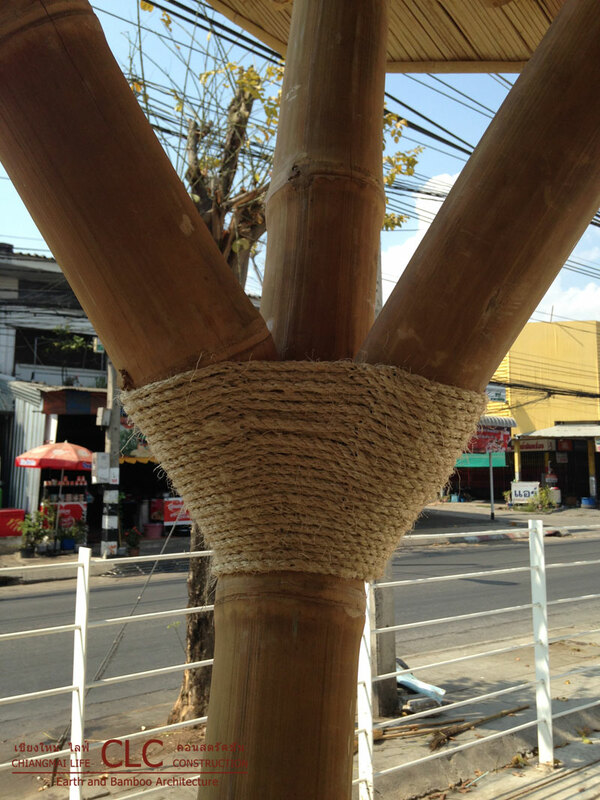 One on the east side and one on the west side of the office. 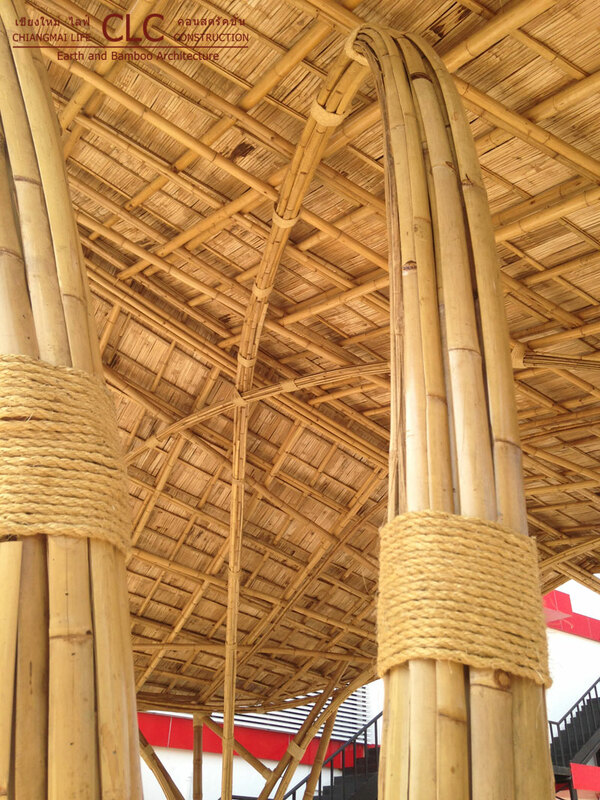 Each side got its own unique bamboo gate. 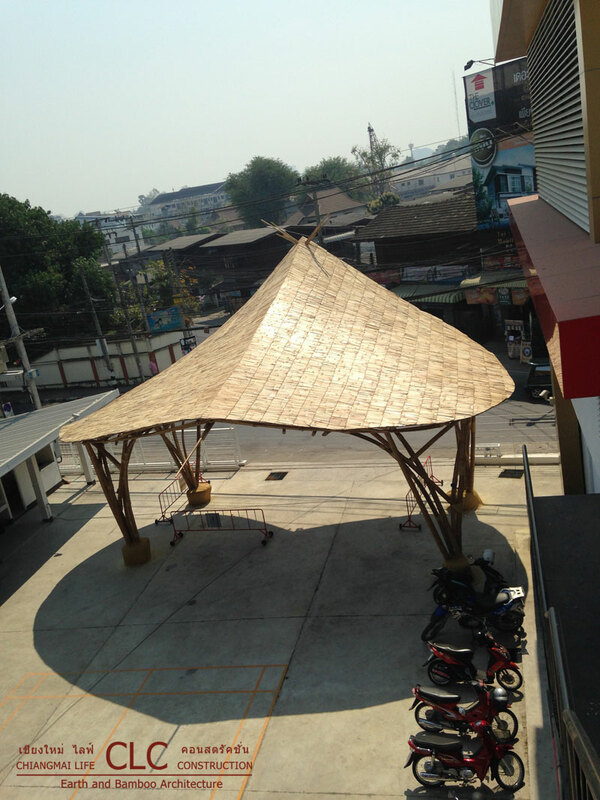 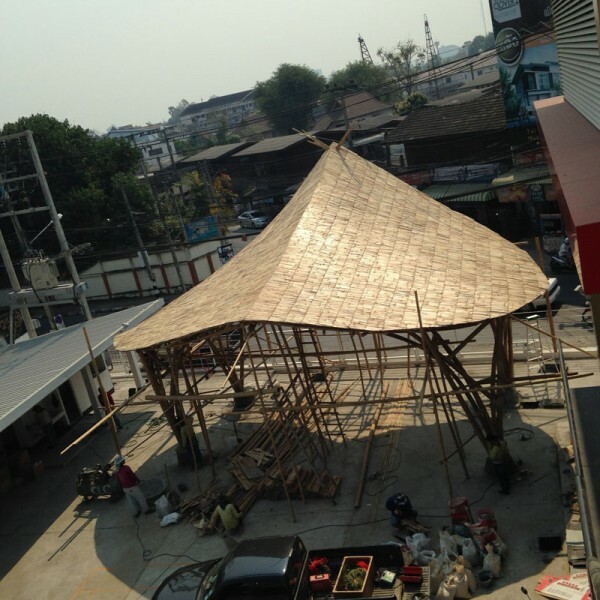 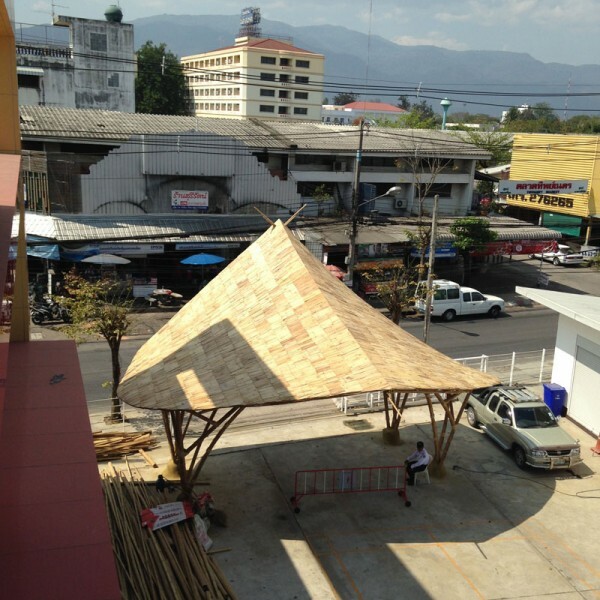 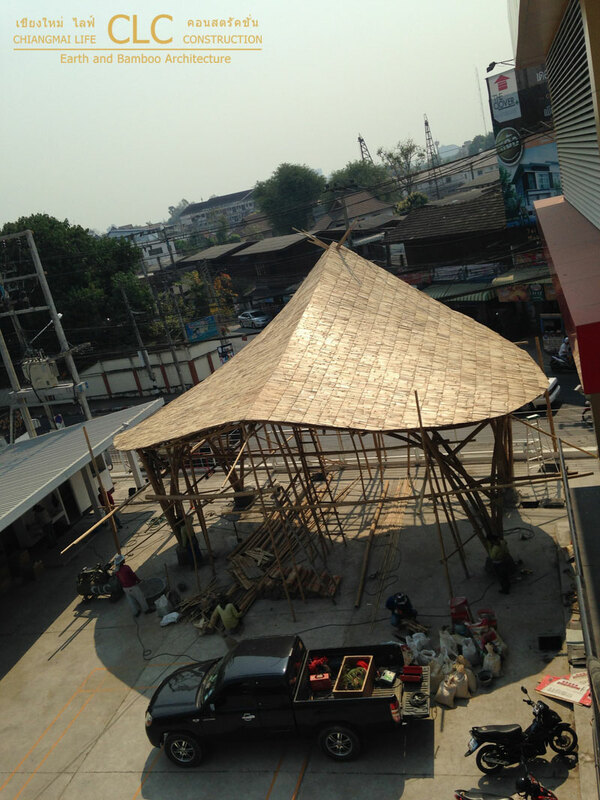 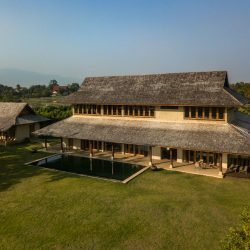 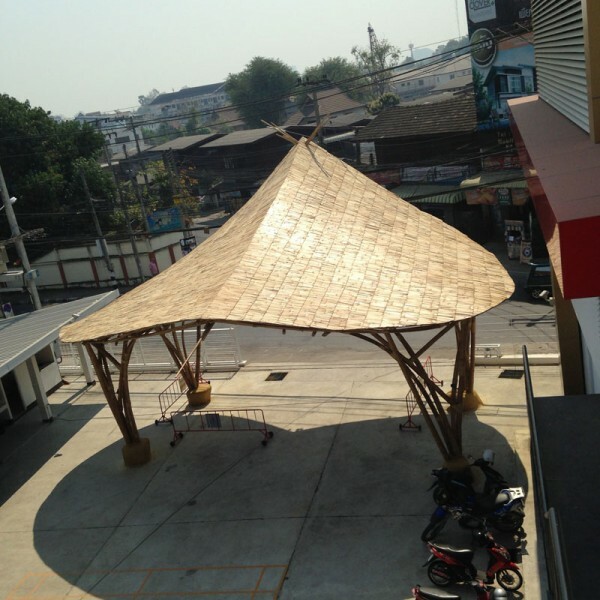 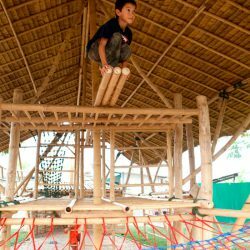 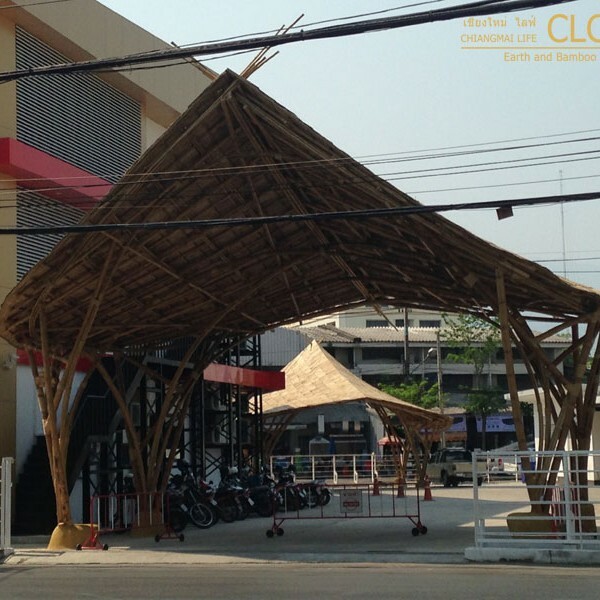 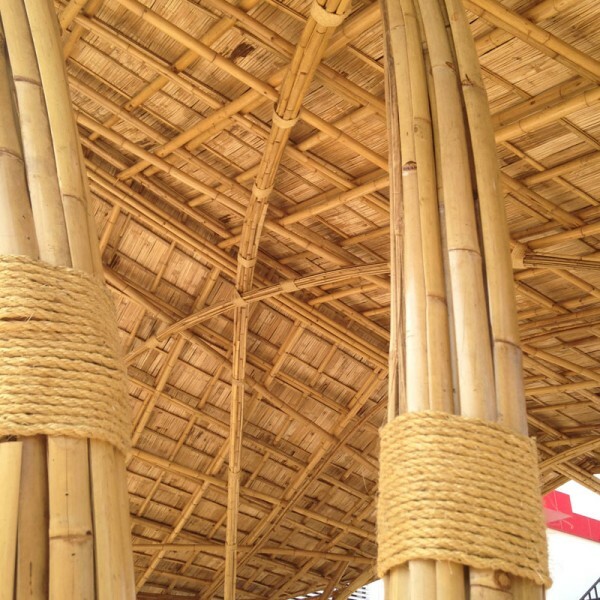 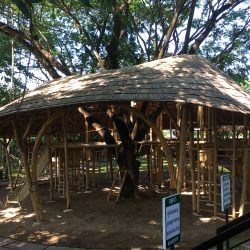 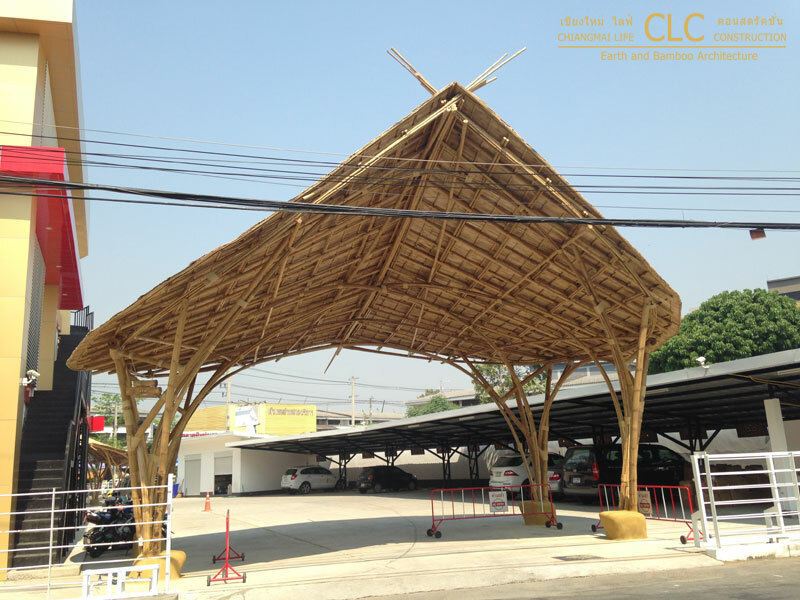 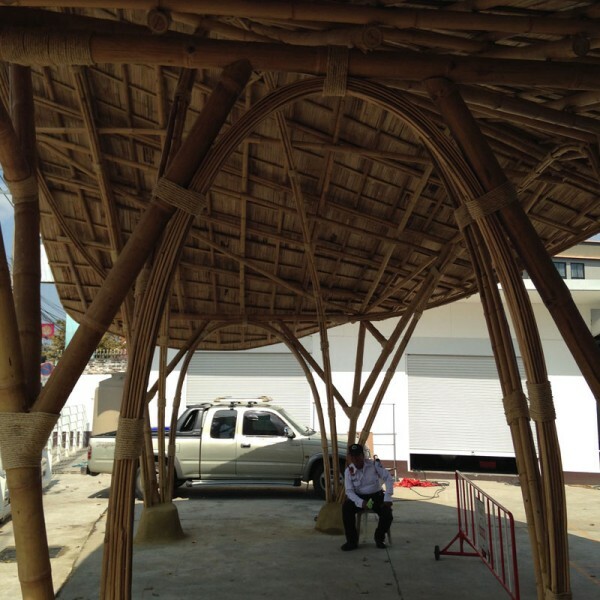 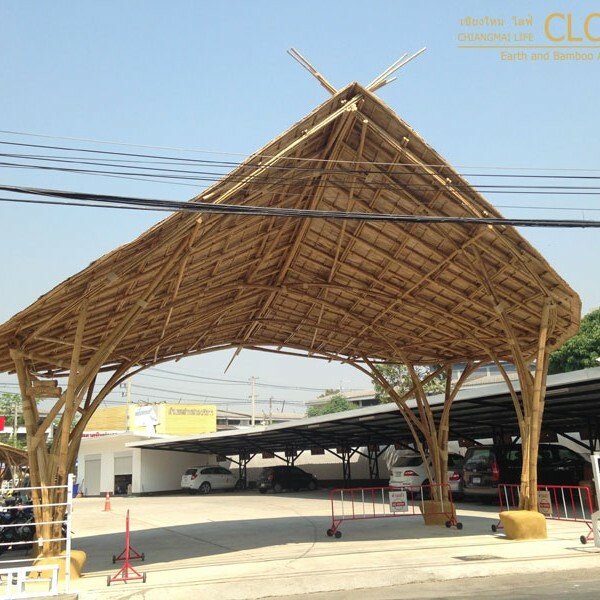 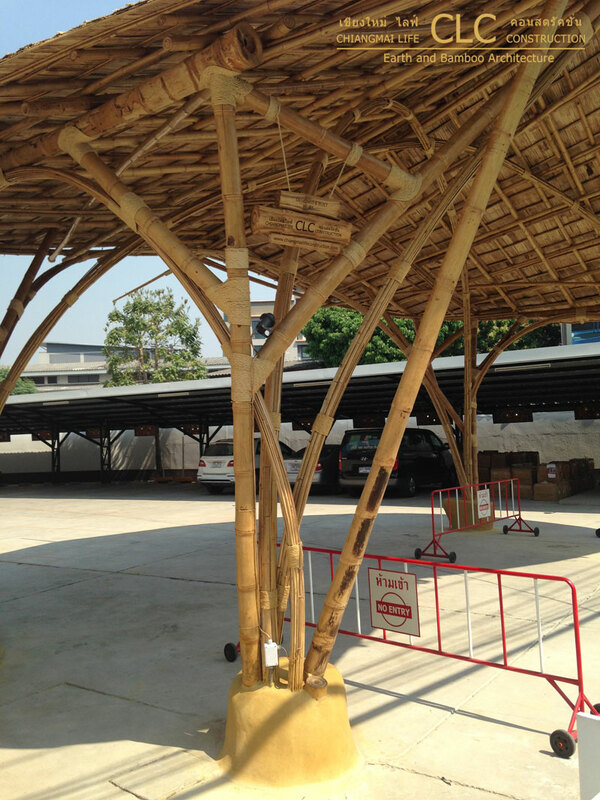 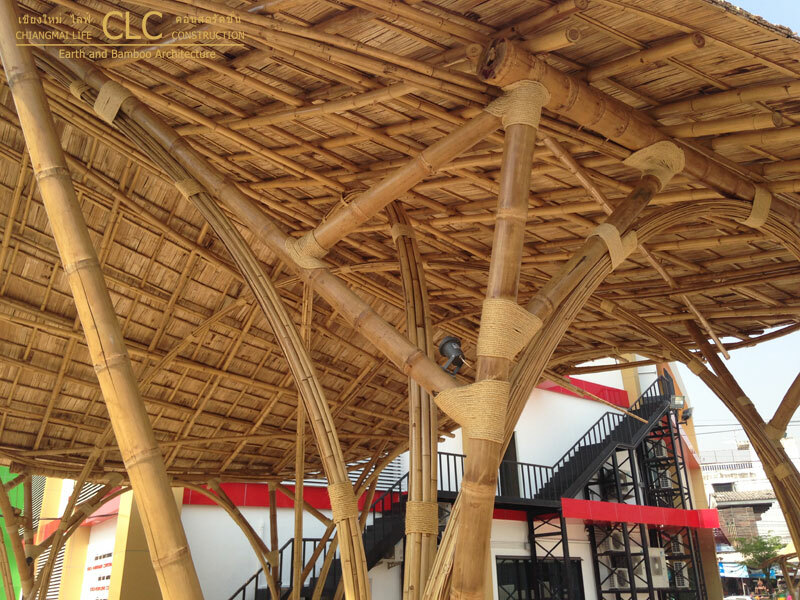 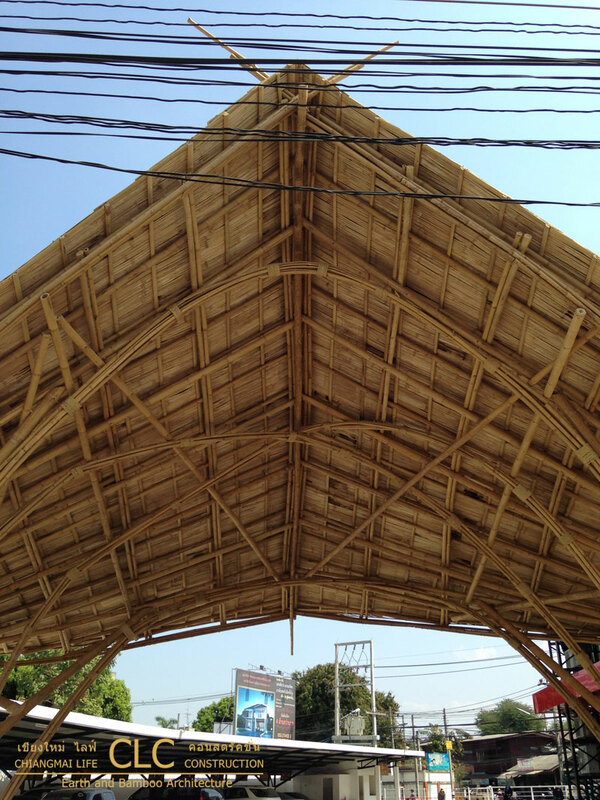 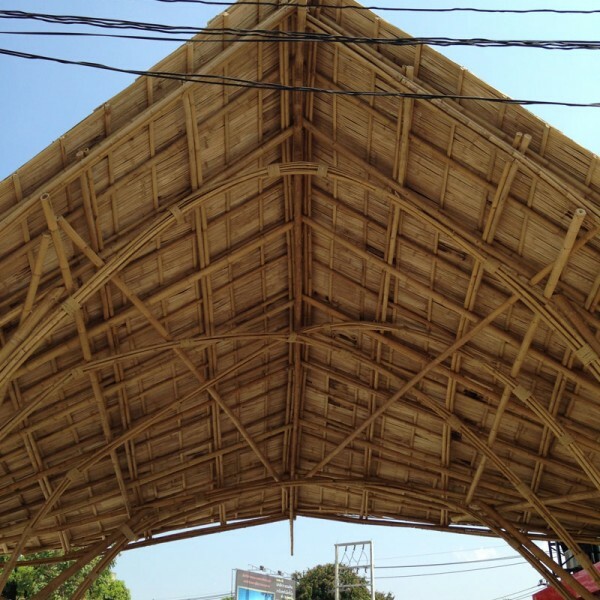 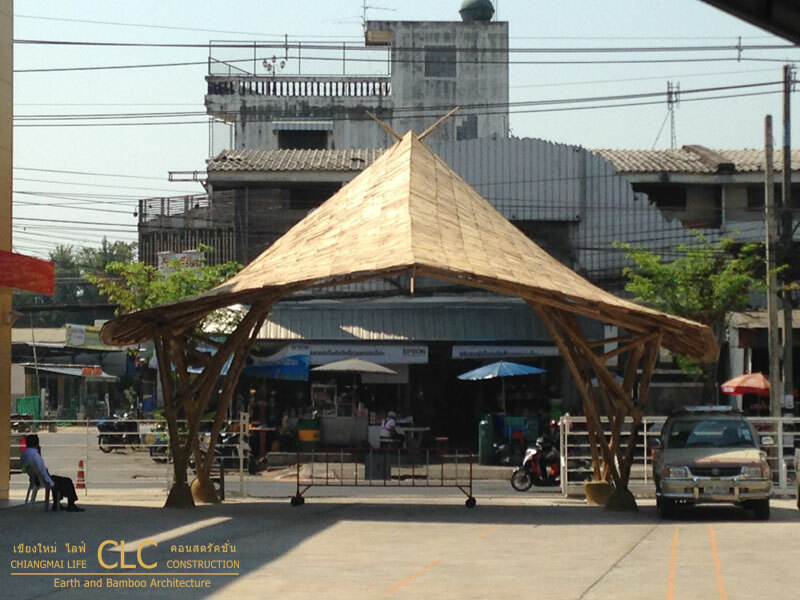 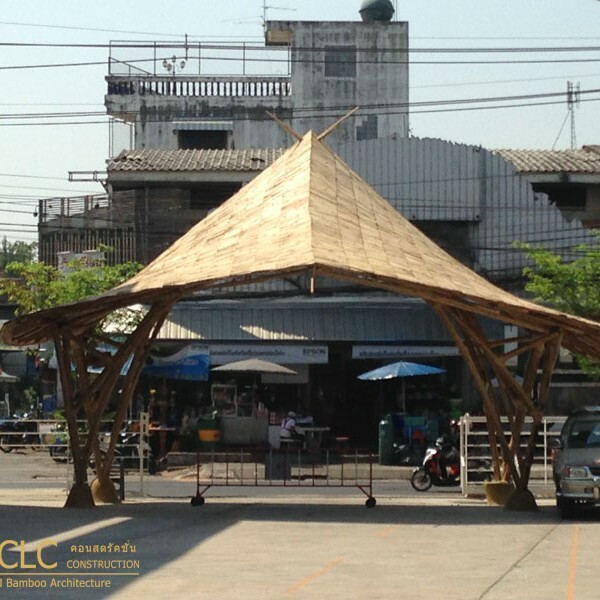 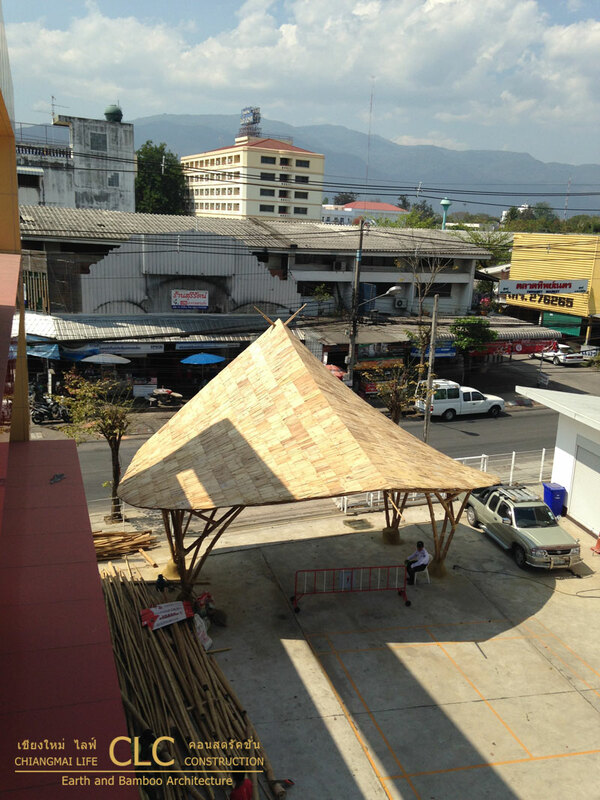 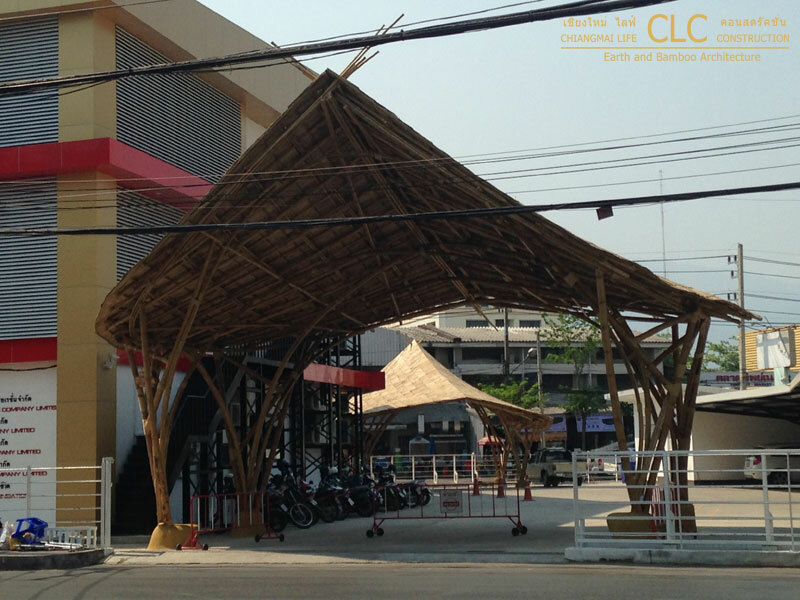 With a maximum span length of 8 meters, bamboo arches were used to carry the loads of the roof and also allowed for optimum use of space. 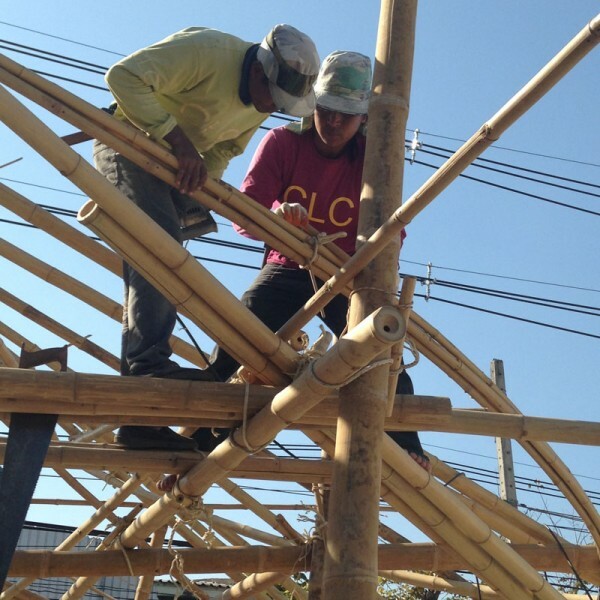 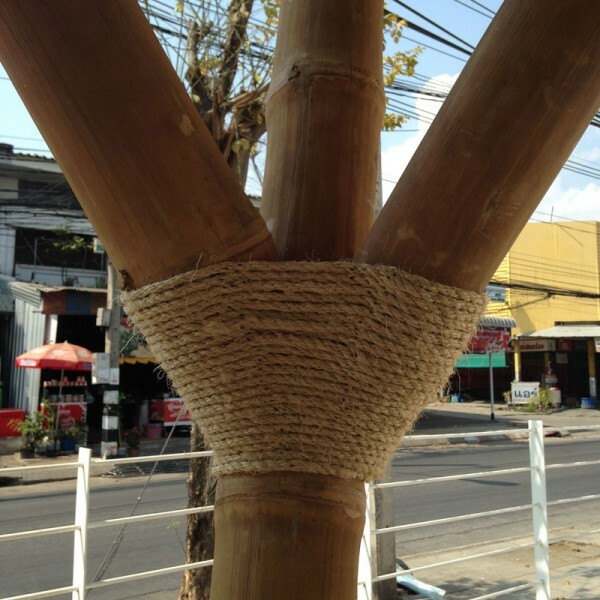 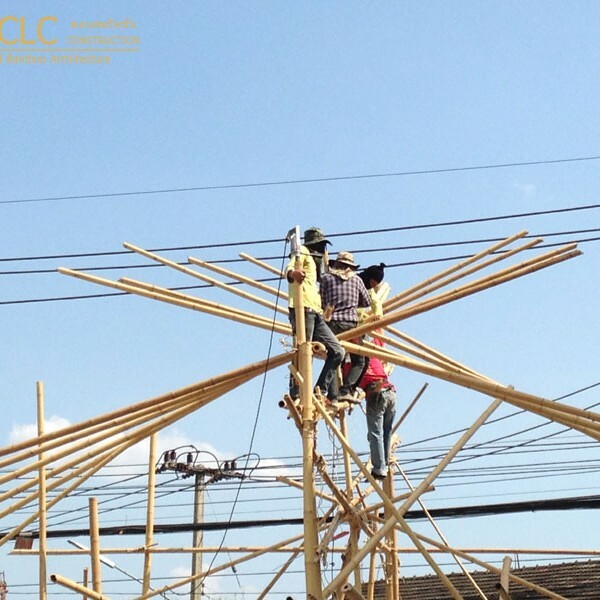 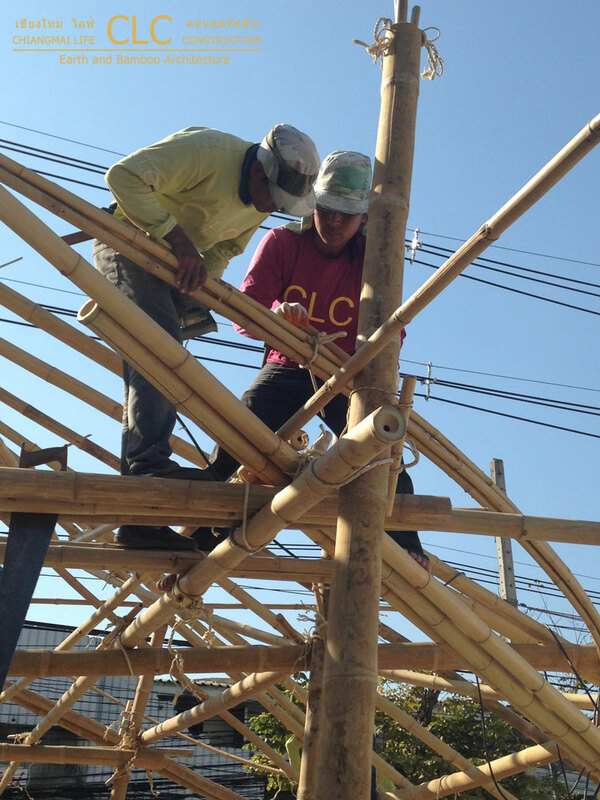 Bamboo dowels are used for the connection instead of steel bolts. 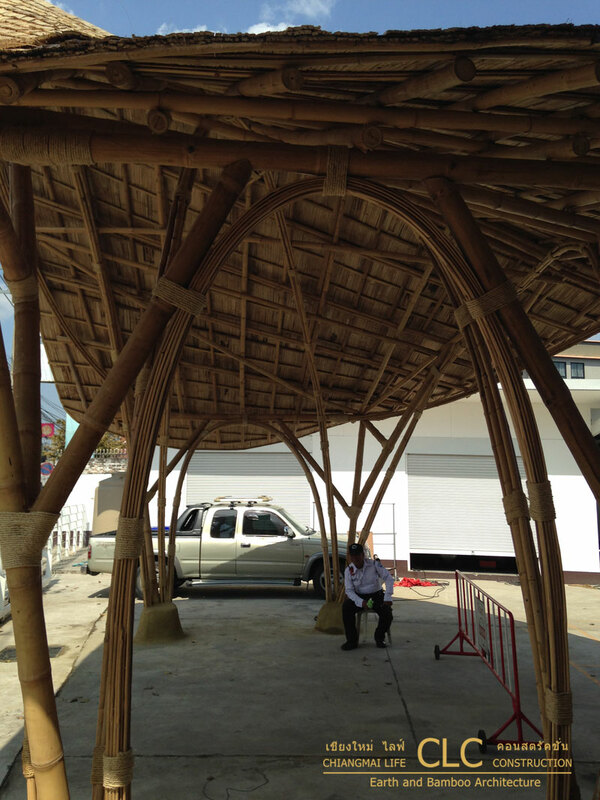 The organic form of the gates adds a playful and more inviting feature to the office.